Tasmania, located off the southern coast of Australia, is a land of wonder. Visitors flock there to frolic on white sandy beaches, explore rustic villages and hike snow-capped mountains. In December 1982, the World Heritage Committee included the entirety of the Western Tasmanian Wilderness National Parks into the World Heritage List. However, in 1989 this area was expanded to encompass an additional 1.4 million hectares, which is almost a fifth of the total area of the island. 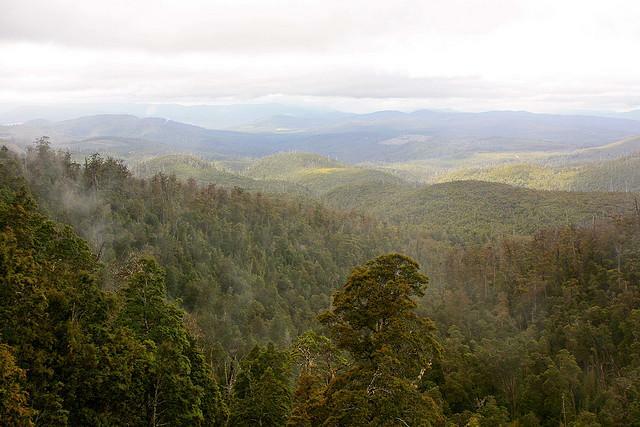 This area, then named the Tasmanian Wilderness World Heritage Area, consists of six national parks as well as a number of reserves and conservation areas. From coast to islands, rivers to peaks, valleys to button grass plains, the area is home to some of the most diverse landscapes in the world. This area also serves as the world's largest tract of temperate rainforest that has been protected from modern development. Those who choose to explore this world heritage site will soon find themselves cut off from modern society, as cell phone signal is lost within minutes of entering its borders. 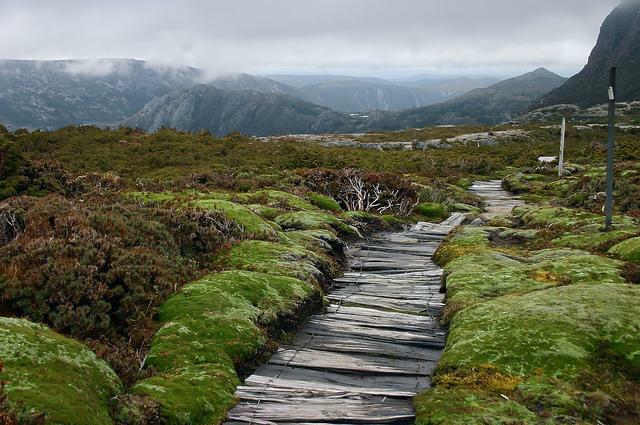 This is the northernmost National Park in the protected area, located just 165 kilometres from Hobart. Major features within the park include the Cradle Mountains, Barn Bluffs and Lake St Clair. The park also marks the beginning of the famous 65-kilometre long Overlook Track that runs from the Cradle Mountains to Lake St Clair. Franklin-Gordon Wild Rivers National Park is named after the two river systems that the park protects - the Franklin River and the Gordon River. The area has been the subject of one of Australia's largest conservation battles as many want to build dams on both rivers in part of Tasmania's hydro-electric scheme. Though the area is protected by UNESCO, the battle still rages on. This park protects the Hartz Mountain range. The area's cultural value that made it a high priority on UNESCO's list. It was in this area where the Mellukerdee aboriginal people once lived. When European settlers arrived in the 19th Century, it became one of Tasmania's earliest bushwalking destinations. Mole Creek Karst National Park was specifically created to protect the area's karst landforms. 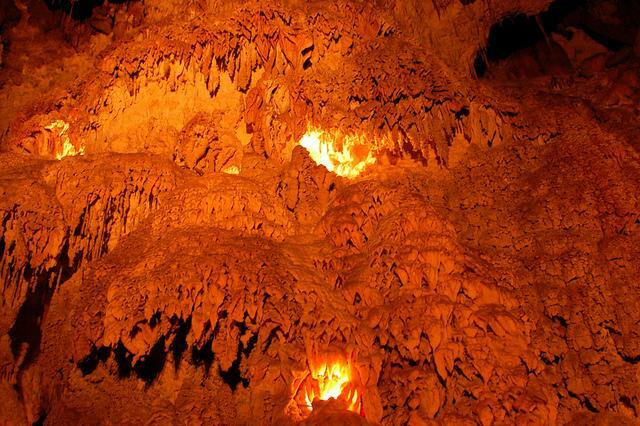 Within the park there are over 300 known caves and sinkholes, including the famous Marakoopa Cave and King Solomon's Cave. These caves feature underground streams, shawl and flowstone features, and glow-worms make them practically a Mecca for spelunkers. 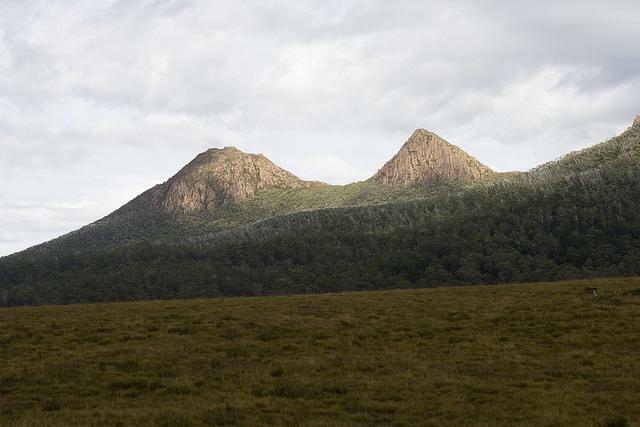 Like its name suggests, this national park covers the majority of Tasmania's southwest wilderness. 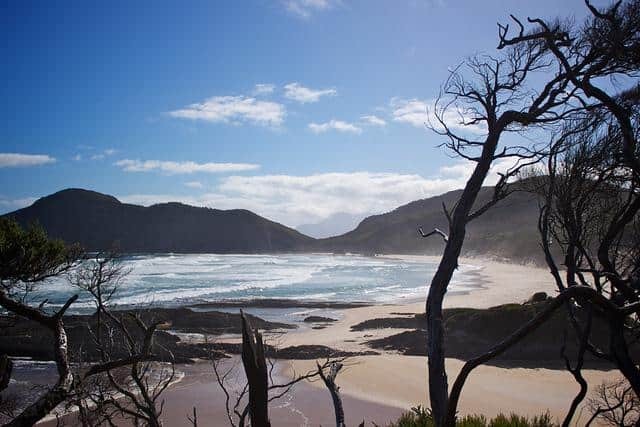 The area is largely unaffected by humans, though archeological evidence has shown that Tasmanian Aborigines visited the area for at least 25,000 years. Many visitors are thrilled by the general seclusion in the area. This beautiful national park got its name for the unique rock formations that resemble the Walls of Jerusalem. Most of the sites within the park have biblical names like Herod's Gate, Solomon's Jewels and the Pool of Bethesda, as well as the most prominent feature in the park, King David's Peak. It is there where hikers and climbers flock by their thousands to challenge the park's landscape. It is famed for both its difficult climbs and hikes, so casual visitors should best not even try. Both Australia and Tasmania have quite the compelling convict heritage. 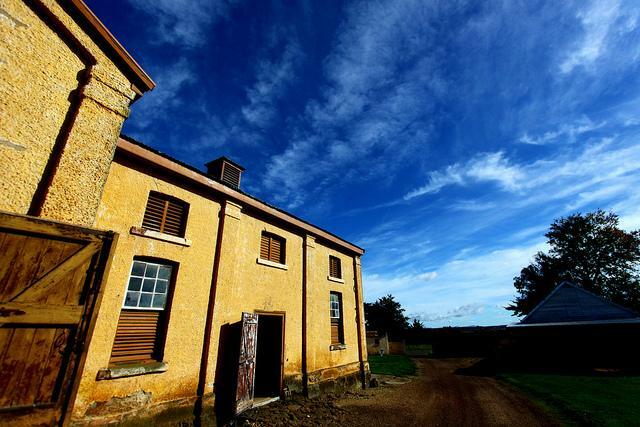 In July 2010, a total of 11 Australian convict sites were inducted into UNESCO's World Heritage List, many of which are located in Tasmania. These sites were described as being "the best surviving examples of large-scale convict transportation and the colonial expansion of European powers through the presence and labour of convicts," by the committee. Brickendon is one of Tasmania's oldest farming communities. It was settled in 1824 by William Archer and has been continuously owned and operated by his direct descendants. It is currently run by the 7th generation. While William Archer was not a convict, he came to farm the land after his father's milling business went bankrupt. He made an agreement with England that the family would allow convicts to help them work the land. Now throughout the sleepy little township of Brickendon, there are several perfectly preserved convict buildings. The Woolmers Estate is located just a few kilometers from Brickendon. It was at this estate where convicts were assigned to private masters to undertake agricultural work. William Archer's brother owned convicts here and William Archer himself worked here briefly, before becoming a master himself. The estates in this area operated as a group of large farming properties using convict labour from 1820 to the 1850s. This estate still has a collection of its original buildings including family houses, workers' cottages, a former chapel, stables and a blacksmith's shop. Aside from architectural sites, there have been a number of original artifacts gathered in the area, providing a unique look into this time period on the island. The Darlington Probation Station was essentially the Ellis Island of Tasmania for convicts. This station, located on what is now Maria Island National Park off Tasmania's east coast, initially functioned as a check-in station for arriving convicts, but later served as a probation station for the wilder male convicts. Darlington serves as the most intact probation station left on both Australia and Tasmania. It has 14 buildings intact and reflects the key features that you would have seen in a probation station during that time period. The Cascades Female Factory located in South Hobart was separated and hidden from the main colony when it was first built. It played a pivotal role in the penal transportation system of over 25,000 female convicts transported to Australia and Tasmania. They produced a variety of goods before they were shipped out to smaller convict labour populations. Although women only made up 15 to 17 per cent of incoming convicts, they were essential to colonial development through labour and family formation under the belief that once a male convict started a family, he would settle down. Today the factory remains preserved to see the shabby living conditions and way of life that these women went through before they were integrated into other colonies. Located in the northwestern corner of the Tasman Peninsula, Coal Mines once held up to 500 convicts, as well as another 100 people who served as officers and guards and their families. This coal mine has long since become defunct, but the buildings where these convicts and the officers lived as still perfectly preserved. Today, visitors can tour the mining area and discover a different perspective on convict history in the uncrowded ruins and scenic vistas. 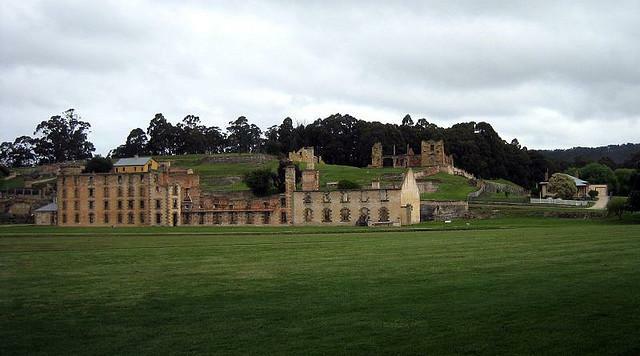 Located on the Tasman Peninsula, Port Arthur Historic Site began as a timber gathering station in 1830, but in 1833 until 1877 it was repurposed as a penal station for secondary offenders. It was essentially a heavily guarded prison for offenders that committed additional crimes while on the island of Tasmania. The site has over 30 buildings still standing, as well as ruins and restored period homes in the area. Around 12,500 convicts served their sentences there and as they were repeat offenders, the guards and prison officials made sure it was a living hell for many of them. 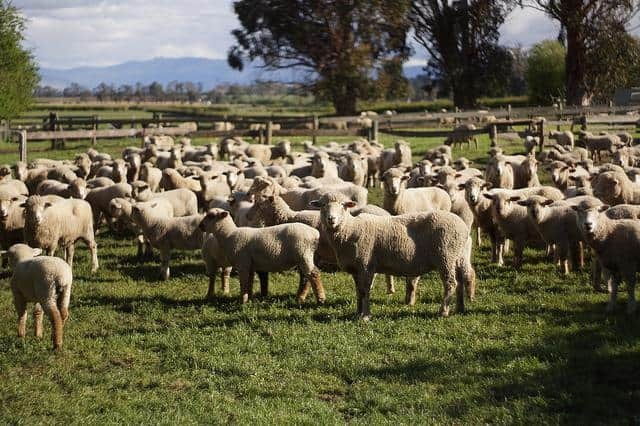 As the area sits on 40 hectares of land, this is the largest of the convict labour UNESCO sites on Tasmania and it takes more than a day for visitors to experience everything.